Skeptical Eye: Debate...How Will You Watch? Hey, it's not a real drinking game...it's humorous! 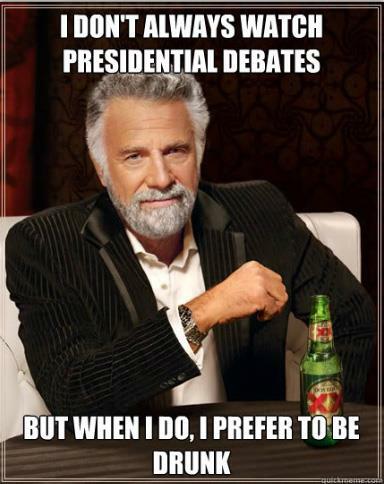 Just like the "debate" tonight is not a real debate, and is humorous!